A few days ago I was visiting the Apple website to find out about the issues with the reflective coating on my MacBook Pro. I was surprised to see that Apple's support chat facility is looking very dated, even uses "Aqua" style speech bubbles - reminds me of my first iMac. This was the start of a quick half hour - "How should it be?" play around in Sketch. I opened the design of the UI with a cleaner, airier feel - bringing in the current iOS stylings. 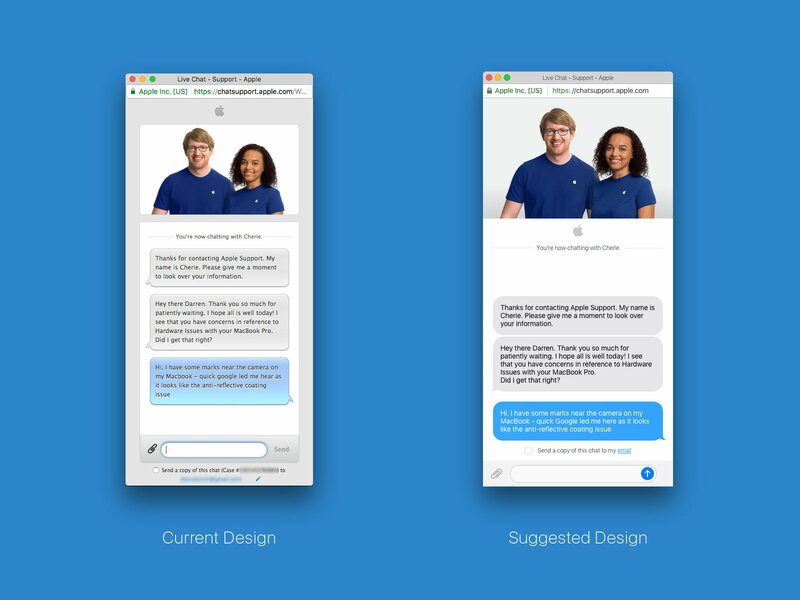 About time Apple waved goodbye to this out-dated design?